The Minister, while moving the Finance Bill for consideration and passage in Lok Sabha, also took a swipe at the Congress. 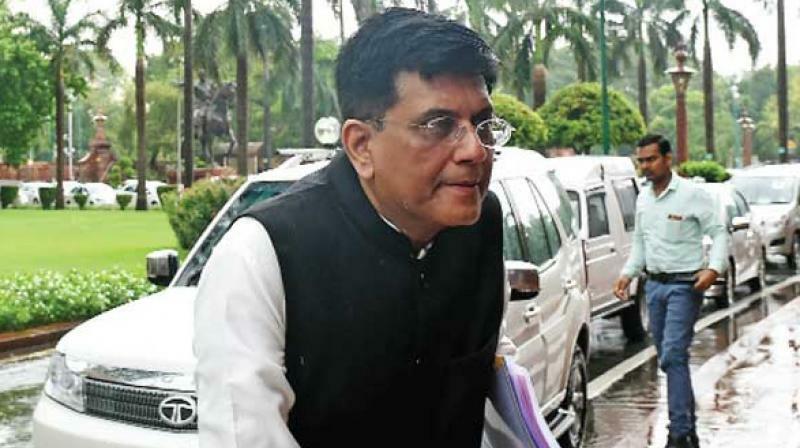 New Delhi: Finance Minister Piyush Goyal on Tuesday said that the tax related proposals in the Finance Bill are aimed at helping the poor and the middle class people living on a tight budget. In the Finance Bill 2019, the Minister proposed to raise tax rebate for people having annual income up to Rs 5 lakh from Rs 2,500 to Rs 12,500, which will effectively ensure that they don't have to pay any tax. Those having income of up to Rs 8-9 lakh too can take advantage of this if they invest in tax saving schemes. The government's policies have helped in keeping the property prices under check, he said, adding the non-performing assets (NPAs) too have remained low in the sector, probably because "housewives insist that the home loans are repaid in time".